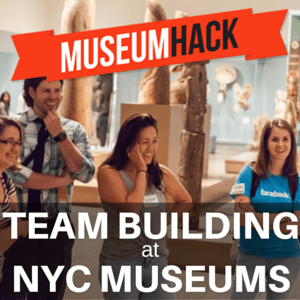 The best resource to increase your team’s ability to bond, connect, and have fun together in New York City. The best teams don’t just work together, they play together too! Team Building can make even the most reclusive teams step out of their cubicle and into the world. It allows them to chance to breathe, work together, communicate better, and enjoy each others company. We scour the Internet in search of the best companies to list. We don’t just list any ol’ company here. We want the best of the best, the cream of the crop, the bees knees! There are so many Team Building companies now. Each one has a specific forte that they showcase. From scavenger hunts to museum tours to cooking classes to comedy and everything in between. We’re sure you’ll find something of interest to help you get your team working better together and more efficiently. We provide the best team building activities across the US & Canada with local facilitators and staff. The map below highlights some of our most popular team building locations and you can click to see local events and preferred venues. Don’t see your city on the map? Our digital team has some catching up to do. Scavboss hosts fun, fast-paced scavenger hunts at Grand Central Station in NYC.